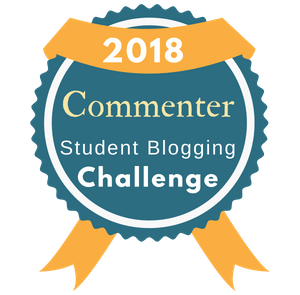 In order to answer as I should, I must quote and link to almost every Blog I visited; as I can’t possibly do it, I will address all my gratitude to The Comment Challenge “general quarters”. 1. What did you personally gain from the Challenge? R. A growing sense of belonging to a Community, the discovery of several unique “voices” at Edublogs, the adventure of writing and reading in a sharing perspective, the joy of rediscovering the beautiful English language – (my translation studies just seem to have been reactivated from a distant past). 2. What did you gain professionally? 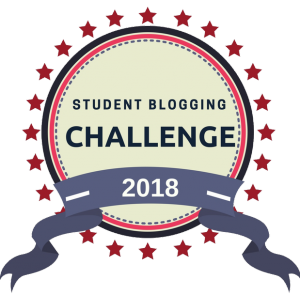 R. My students will have a word to say…In the meanwhile, I may add that now I know where are the fundamental sources I must consult to study and put into practice the art of blogging and using web20 tools in the context of School. 3. Is this something you would do again? Why? R. I certainly would, though I hope not in May again; it’s the most busy month of the whole school year as we have to correct tests twice and to deal with the ones sent by the “education government department” and to prepare the school festival; July or August would be most welcome. I’ll do it again because it enlarges my horizon and turn me to others, it makes me a better blog citizen. 4. What do you think you will do differently now? R. I will share my e-learning endless quest, as I’m not alone any longer; my personal effort to put into practice what I’ve learned and admired will be more effective and systematic; I will use social bookmarking as a means of organizing my work while sharing it at the same time. R: 1 – The use of several web2.0 tools. 2 – A more acute sense of duty, of commitment towards others and the joy that comes with it. 3 – A greater awareness of rights and duties implied in the exposure and building of our on-line identity. 4 – A growing sense of responsibility concerning on line possible issues for young students and more effective knowledge to counteract. 5 – The most subtle lesson, the most hard to express: the lesson on humanity that irradiates from such wonderful posts I’ve been honored to freely read and friendly comment. I’m going to take the liberty to interpret this activity for day 30 as if it was a sort of interview made by Michele Martin to each of us; it will spare me a precious amount of time, although I’m very sorry for not being able to respond with the deepness this reflective task deserves. 1. What have you learned about the give and take of commenting and how it might apply in a classroom? R: This “give and take” brings along an human enrichment to individual writing; the fact that you share your thoughts and knowledge opens your inner world to the virtual presence of others and, without noticing, you begin to reflect and even to act as a member of a community. In the classroom I’ve noticed how much young students enjoy to share their own texts reading them aloud in front of the class or silently reading long answers by their colleagues that I extract and copy from their tests; since we have started to dwell on-line they have shown their enthusiasm on publishing their writings. Now we may not only enlarge and multiply our ways of sharing our work, but we may introduce this totally new feature of mutually commenting our written work, thus generating and enhancing conversations. 2. What lessons did you learn about what it means to “speak up” through comments that is applicable to working with students? R: To “speak up” trough comments may allow shy students to find their own “voice” in the “maelstrom” of the class; it may act as a strong motivation to write, read and to create new ways of communicating meaningful content; it will certainly develop new and more rich interaction in the classroom; it may improve class citizenship, the sense of fair camaraderie and eventually new friendships may blossom through these intense cross conversatios. Technically speaking one may “speack up” through several different media, combining audio, video, drawing and so on, thus enhancing the chances of self expression and “community expression”. 3. What did you learn about how to deal with dissent, asking questions, communications… that might influence your teaching practices, either on or off-line? R: I think I will be more careful when managing students reciprocal dissents, questions and communications; I will try to elaborate a more “fine pitched” quality of listening, and I will show them how different connotations of words may inflect the original meanings intended by the authors, thus generating misunderstandings that may harm the union and consistency of the group. We will then reflect upon several different ways to avoid and counteract these issues. Perhaps they will be interested in dressing a sort of “Chart” listing a good commenter’s duties and rights, clarifying what it means to democratically dissent, question and argue, thus preventing or correcting possible obstacles to a growingly free and enjoyable communication. As I’m running out of time, I’ll try to summarize my thoughts on this activity, without going deeper on the subject, as it requires from me a certain amount of research and reading that I unhappily can’t provide. I apologize for avoiding proper and due quoting to save time; my main source for this post has been The Bamboo Project itself and my main future source for the project itself will be Miss W posts on the subjec. 1. I’ve been talking to my young students about the concept of “brand” and I’ve told them the story of those young man that have been haunted by their confidences made too wastefully in My Spaces. They were surely shocked; they didn’t had the feeling that their adolescence and their youth could project its shadow upon their adult life in the future; they were angry that google had such a long memory.They agreed it will be necessary to reflect upon a strategy both on posting and on commenting. 2. As most of our students remain in our school until they enter university – until they are 17 or 18 – I thought to choose some of my ex-students and invite them to talk to my young ones. The oldest could even suggest some questions to be asked and the youngest would add their own under my supervision. The different interviews could be video played during recreation, for instance, and then viewed and analyzed in the classroom. 4. Once completed, our Students would share their Comment Guide with their parents and friends, using web2.0 tools of their choice, to make it known. As for the concept of branding, I had to go through the process of progressively distinguishing several layers in the possible application of this concept of “strategy” concerning comments, ranging from an economical and marketing context up to a more personal one. In the meanwhile, I’ve learned something new about the respect that those who earn their life by blogging deserve; I understood they have to deal with branding, they have to build comment strategies but I didn’t see the point of me having to reflect on that, before. Now I feel I’m closer to them than I thought. Now I see this need to be “strategic” as an essential feature of the commenting activity; I’m not quite sure yet about how I would express this “strategy” myself, but, If it’s true that I – like most of us – am on-line for the love of reflecting and sharing, whatever strategy I draw to improve my comments must remain at the service of these leading values. As for those who make their living on line and have to struggle in a competitive environment, it’s up to them to make up smart and strong strategies as long as they don’t harm their spontaneity or their authenticity; and in that professionals keep close to amateurs: both must remain faithful to their own consciousness, if they are to stand free in the “hurricane’s eye” – I mean amidst the turmoil of adversity we all must learn to face in our human dwellings. I had to open Google reader, after all, in order to better understand, through other blogger’s posts, – mainly Ruminations of an Online Instructor, Kevin’s Meandering Mind, Spinning a Learning Web – what “brand” and “branding” were all about. Finally, I recognized that educator’s and student’s amateur blogging, while being fundamentally different from professional blogging, particularly in what concerns the duty to be exempt from commercial purposes, does not remain in a platonic realm either; on the contrary, whenever you publish a post or a comment, you are sending a subliminal message about who you are and what you aim. Once having become aware of this more subtle “wave-length” of on-line communication, the will to consciously reiterate it or correct it seemed to be a sensible and logical attitude. 1. From a professional perspective: how does something I can do well and I’m ready to do expresses itself through the comments I posted? 1.1. Talking about students and the School environement shows I’m a teacher; and I hope it may allow to feel that I love teaching, that I’m deeply engaged in Teaching. 1.2. When choosing a French member of Calaméo to post a comment, I remembered the times I’ve been in France to translate at International youth meetings; actually I can translate French both written and spoken and I deeply enjoy it. 2. From a more strictly personal standpoint: what I think I may be communicating about my personal brand through my comments”? 2.1. I would be glad if my comments make the general impression that their author is someone interested in learning through conversation, grateful for the support she is being given, and just in search of her own “voice”. 2.2. As a matter of fact, just at the beginning of this challenge, I’ve posted a comment that I would like to see erased by the blogger, because the idea I’ve tried to express was not yet sufficiently clear in my mind and the whole paragraph sounded strange and obscure in the end. I hope this really does not go with my brand. 3. We have also been asked about identifying someone’s brand through his comments; I could say, for instance, that through the comments of Sue Waters I identify a specific message, beyond its technical excellence, about reliability and truthfulness. Shortly after having enjoyed the delightful break we have been given as the 25th challenge activity, I must slow down again: students second tour of tests has started, I’m dwelling with 120 brand new tests from my students and the “National Examination Board” (I don’t know the corresponding words in English) just send me 60 anonymous tests to correct. Thus, I decided not to open Google reader during a couple of days to avoid “falling in temptation”. Even if it will turn to be an impoverishment to my participation, I’m sure I will come back to read in June. Now, concerning the use of new multimedia tools to post comments, I found again, just passing by, in Kristi‘s blog, a list – if not exhaustive, at least very complete – of such tools that may cheer up, turn lighter and make the difference for the act of commenting. 1. I think it’s a great idea to use several different ways to comment on posts. Each way, according to its own specificity, allows a different kind of comment; one must choose such way in accordance with the nature, the length, the complexity or the simplicity of the comment itself. 2. I’ve seen comments posted with Seesmic , Snapvine and subscribed to it; as we can see the different expressions of the commenter’s face as well as other non verbal communication features, it is more easy not to get tangled in connotations and double meanings. And being able to be seen by a friend or to see one may be a sweet joy. 3. Even more simple, audio comments may show up to be more cosy, or more light; as we hear the inflexions of another voice, it should be quite easy to clearly see the point the other person is trying to express. 4. I loved the suggestion of using scrapblogs: if you have time, and let your creativity unfold, you may build a very special kind of comment, aesthetically valuable, as if, in visiting someone, you would also bring along with you a bunch of wild flowers, a delicious home made dessert or just an exquisite perfume. It seems that I’ve been doing it since the Challenge began; today, I should comment on a Portuguese post, for a change! I’ve also added the Google Translation widget and I surely would like to keep a double version of the blog. How does it feel to engage in such a demanding writing task in a foreign language? I think it depends on how seriously you have studied that language, on your personal sensitiveness and attraction towards certain languages, on how much you value communication with different cultures. Personally I feel that the fact of reading in English through all the challenge helps me a lot to build my sentences when the moment comes to write a comment or a post; the automated spelling correction is also being precious to me. Perhaps it turns out to be a very evident solution for small countries: “go global or disappear”. To go global one must think in English; I should add that in my country there is a genuine love for foreign languages and distant cultures besides our economical, political and cultural need to follow the rhythms of History in the noble English language. In this Blog, I’ve read about web3.0, semantic web, the advent of microblogging versus blogging, Twine – a semantic web tool – all things new to me, but not the Spanish language itself, so near to Portuguese that they became transparent to one another. by Kirsty A. Dyer, so I will just write down what I’ve kept in mind about this subject. 1. We must keep focused on the post subject. 2. We must be polite and, even better, sound friendly – I don’t mean too familiar. 3. We should add some useful content to enhance the conversation. 4. Concision and clarity of thought are welcome. 5. Always link to the sources if we quote someone or recommend a site. (I can’t do this properly yet, I spent too much time searching for my sources). 6. Usually, comments stay online, they stand for each of us, they represent us. 7. And, finally, through comments, a true relationship may develop and grow into real friendship. I’ll choose a comment from Michele Martin that turned out to be important to me as it made me realize how essential it is, when writing a post, to keep faithful to the original thought of another person we are referring to. In fact, the “Newbie Guide to the Bamboo Project” shows to the reader what a comment really is, how he must do technically to insert his comment in the post, and how valuable comments are to the blogger. When reading this instructions, any reader will feel welcomed and encouraged to comment; and, furthermore, he will feel safe, too, as the “ethic atmosphere” of the conversations to be engaged in this blog is set up both clearly and friendly. “What I really meant was …”- wrote Michele in her comment, thus having to clarify any misunderstanding of her own – yet clearly expressed – idea. I also realized, then, how words’ connotations may be “stronger” than their literal meanings thus eventually leading the reader to different interpretations. That is how I felt when fulfilling this activity today about making a recommendation. Comment Challenge allows us to make certain moves and take some initiatives we would not even dream of under normal circumstances. than some of her friends, and, all af a sudden, I became aware of a totally new world: educational web 2.0. Everyday there is something new and intelligent to look at or to try, as if I had joined an endless quest where so many people is already engaged for a long time, irradiating this strong sense of being a Community through unceasing sharing of technical knowledge, critical thought, personal reflection and mutual support. This web tool’s list shows only partially my debt to comment08.